JJC BC-1 battery case can the battery to store when not in use. As we all known, when the camera or other electronic equipment not used for a long time, you'd better take the battery from the device, to Thus, in the working life of the device to extend. JJC BC-1 battery case is made ​​of hard polycarbonate, it is a good protection for your battery. The battery is away from dust and be moisture, in this way to prevent short circuit extended thus the Battery life. This waterproof battery case allows a battery of a size less than 65 mm (L) x 45mm (W) x 28mm (D) to save. The ergonomic locking system allows you the battery securely in the case lock. The silicone water resistant seal further prevent unwanted water and dirt into the housing. 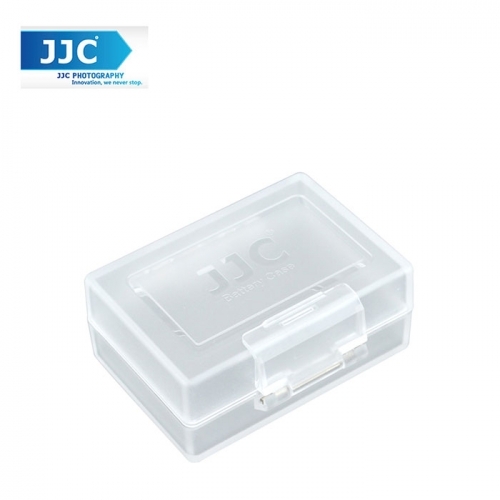 JJC BC-1 battery case is ideal for traveling.